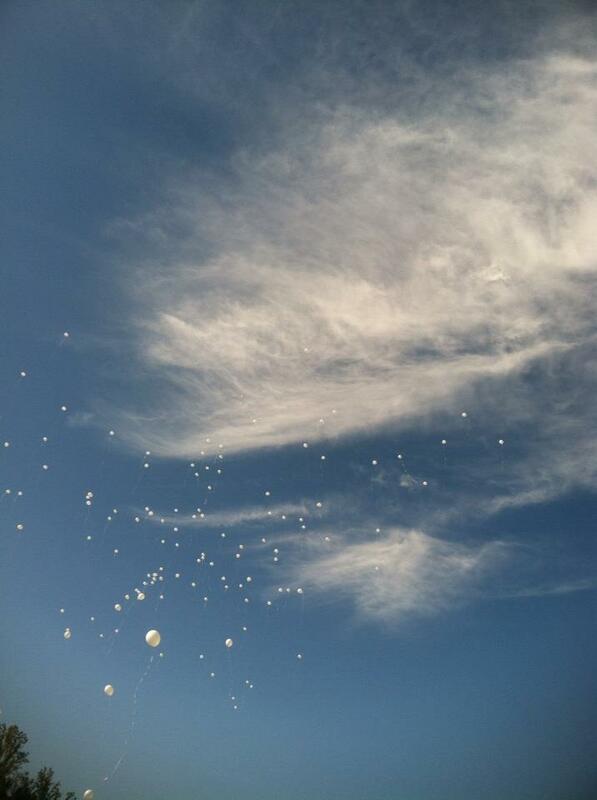 Yesterday, we released balloons up to Heaven at the Walk to Remember, beautifully organized by Heartstrings. (http://www.heartstringssupport.org/) Some families had many balloons to send up, thus they were tied together. We watched them rise towards Heaven...some representing new losses...one representing a loss from 23 years ago. It was a beautiful, bittersweet image...and those tied together (siblings) appeared to stay together all the way up. There were tables from various organizations there to offer goodies/support to families. Next year we hope to have a table set up to offer some type of token to these special families. It was a beautiful, bitterseweet day. If you live in the Piedmont Triad and have not heard of Heartstrings, you should definitely check them out. What a beautiful organization.